Where you been all my life?! I am a big fan of writing things down, not only because sometimes I forget things instantly but because I like to look back and see where I started from. Yes it’s usually a pathetic start but mostly my triumphant progress is what becomes my motivation to keep going and fuels my curiosity of where I will end up. If I don’t know where I started then how can I possibly know where I’m going? This app has been the greatest finding of this month for me. I don’t know who invented it or who thought out it’s wicked code but whoever that was they certainly had ME in mind. Whosoever makes my life easier deserves my undying gratitude. So here it is. My undying gratitude: The only way I know how to say THANK YOU, You’re Awesome! My Blog Post. I forget stuff. Plain and simple. I’m not proud of it but it’s true. I forget clothes in the washer. I forget groceries in my trunk. I forget what I ate for breakfast. I forget stuff. The whole out of sight out of mind that babies have, still plays a big part in my life. If I don’t see it, it never happened. Now I jot down my food as soon as I eat it and there it is. Forever and ever. I can bask in my self-disgust days later when I ate almost 1000 calories in two cinnamon rolls for breakfast. “What is this? !” I ask myself. “What kind of a monster are you? !” This, by the way, is one of my many self motivational speeches. I lose motivation. I do. As soon as I do something, I lose interest in it. Done, moving on, is how my brain works. I can’t stand my brain sometimes. Always so selfish in it’s ways. “Can’t you see I need to be fit? What do you know, you’re a blob of fat. You should be a bit more interested in MY needs!” My body and my brain don’t get along sometimes. I have issues. I hate diets. Loath entirely!!! I can’t remember the last time I had to diet. I say HAD because who would, in their right mind, want to diet if they didn’t have to? I’m lucky like that. I enjoy living in denial. You should try it sometime. It’s fun. But seriously, dieting is so yesterday! Healthy eating is the new black. Or whatever. I am a curious soul. I’m a girl. I get curious. Simple. Done. Moving on. I want to know what the heck I’m putting in my mouth and this app allows me to do that. Calories? Saturated Fat? Monounsaturated fat? Carbohydrates? Trans Fat? Sodium? All those crazy words. Turns out, they are very important and as soon as I start knowing what’s inside the food I eat, I start putting less of it in it. So do I recommend it? You betcha! 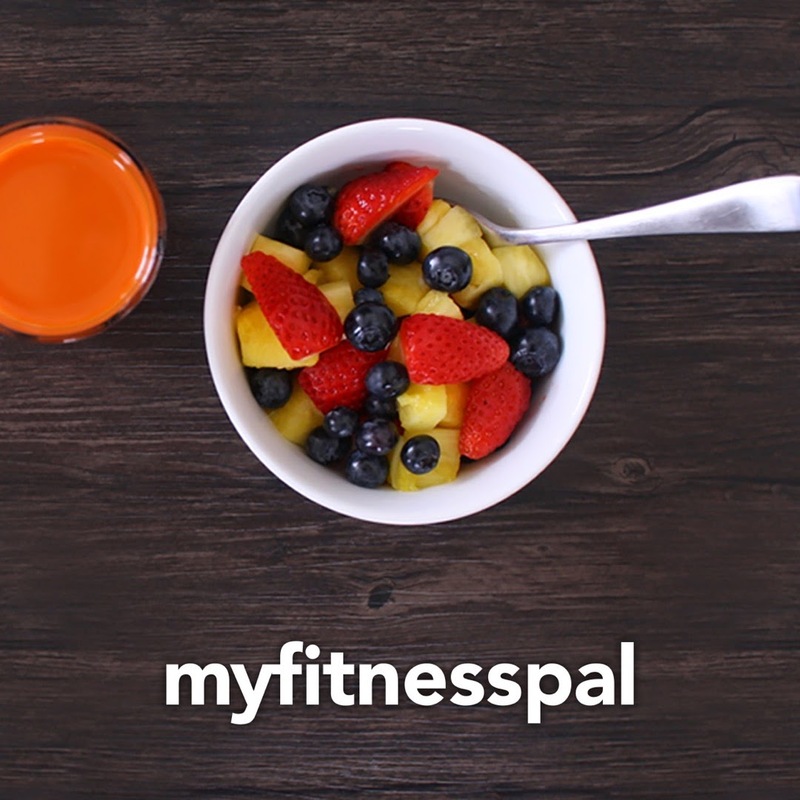 Food logs, healthy recipes, exercise tracking, steps counter, weight loss graphs, reminders, a huge fitness community (but I have no friends) and my favorite… it’s all FREE! Yes, sometimes there is a small ad or two on the main page but it’s never intrusive or on your food log page. These ads are quite graceful and usually fitness related. Nothing wrong with that.